"This picture is a high-quality print made on 200g/m2 A5 Size Glossy Paper with a large-format professional Epson printer using only original inks for long-lasting, vivid colors.The black/White wooden/Fiber frames are handmade in Pakistan. Frame stand up by themselves, and look great on a bookshelf. 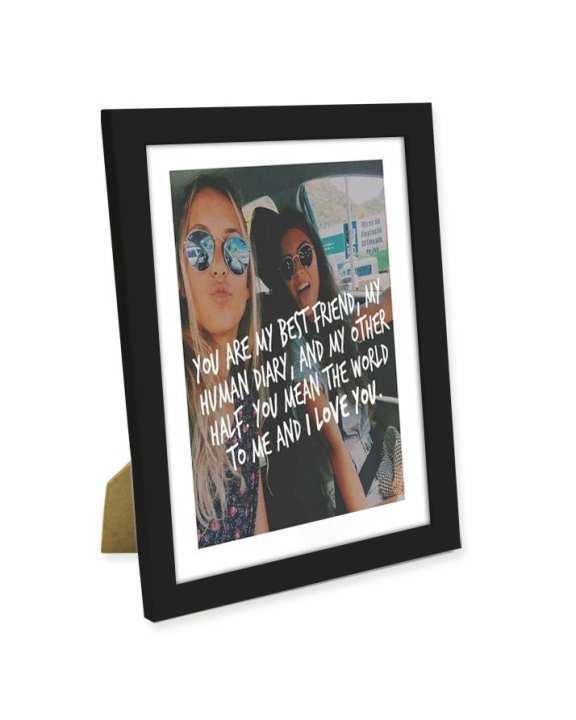 The frames are lightweight and contain glass so you can feel the lovely Print."